Congratulations! You have just won a book award! My self-published book, A Brand New Day, a children’s picture book about divorce, recently won the 2015 National Indie Excellence Book Awards in the divorce category. This was the first competition I had ever entered my book in and it never occurred to me that I would win. I was therefore extremely ill prepared and I wasn’t able to capitalise on this accolade at an opportune time. Whilst I was busy trying to see what I could do to spread the word about the win, Purple Dragonfly Awards awarded A Brand New Day a second place winner in the Family Matters category. Aaarggh!!! Yay but help! I just wasn’t ready and I am still kicking myself for not being prepared. If entering competitions is going to be a regular part of your book marketing repertoire, get a press release template ready. Include all the relevant information you would normally include and just change the paragraph about the actual award you have won. Make a list of media outlets you would want to send the press release to, as you would no doubt be using the same contact list on numerous occasions. This should include local newspapers, magazines, book reviewers, news desks, TV, bloggers, radio, to name a few. Should any of your press releases be successful, you will be contacted asking for different types of information. You will have a small window of opportunity to respond whilst it is still news worthy. Make sure you have all your pertinent details at hand e.g. book cover image, author bio, illustrator bio, synopsis of the book etc…. First and foremost, write a post about it. Then download the seals and make it a permanent fixture on your site for all to see, much like the gold or silver seals on the sides of wine bottles. You just can’t help but give it a go. If you have won several awards, create a dedicated page for your accolades and show them off! Share your updates over as many social media outlets as possible. Share it aggressively within 24 hours of its public announcement and milk it for all its worth. You deserve the win and you will be surprised how much support you will receive in return. Congratulations once again! Now, go celebrate! 5 Star Trip (Caldecott Medal) – Worth the Travel! by Carol VanHook. I don’t believe that self-published authors understand the true benefits of winning a book contest. Apart from the fact that someone is telling you that you have written a great book, the knock on effect from a marketing point of view is substantial. Let’s explore some of these advantages. It is an excellent medium to gain some recognition for your work. Being an award winning author immediately improves the perception of you as an author and a reader’s willingness to read your book. Continual accolades lend credibility that can be hard to ignore. It naturally spikes curiosity and could lead to increase in sales. In the first instance, getting good reviews from family and friends about your book isn’t necessarily unbiased or valuable. Entering a book competition means you are confident your book is worthy of the contest whilst winning an award cements what you had always thought along, you’re a great writer! It is important to know you have in fact written a good book. With your increased credibility, it may assist you in gaining more reviews about your book. Requests which may have been ignored previously may be worthwhile exploring again. 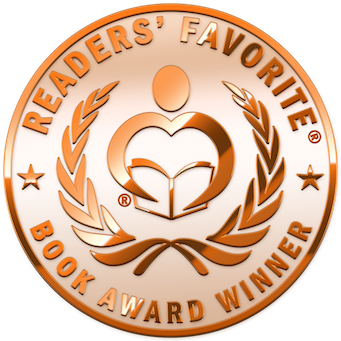 Reviewers may re-consider reading your award winning book. Winning a contest gives you something to talk about and enables you to create promotional material for marketing purposes. You can send out press releases to various different mediums and also have fodder for your blogging, website and social media. The creators of the competition would also be sending out their press releases and creating a marketing buzz on your behalf. A renowned competition can command a large audience that matters to you and your book. Award seals are also a great promotional tool for your books at the point of sale. Most book contests offer some lucrative prizes. Monetary rewards, no matter the amount, would at least cover the costs of the entering the competition in the first place. Additional funds may be utilised to enter further contests for newly published books for the following year or ease any other expenses you may incur in the future. Some contests offer audience with literary agents or traditional publishing houses. This poses a great opportunity for all indie authors trying to get that publishing contract. Some book competitions offer feedback. This is a most useful service that should be embraced. You would gain unbiased and productive comments about how to improve your book. The next important step is to identify which book competitions are worth entering. There are many out there in the marketplace but only really a handful which will bring you good marketing dollars and wide spread recognition. Find ones that suit you best and be strategic about your selections. Competitions are spread out throughout the year so make a comprehensive list as you will no doubt need it all again for the next book. Good luck with your entries!